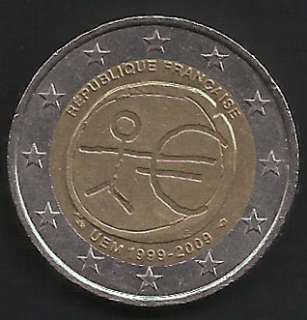 The centre of the coin shows a stylised human figure whose left arm is prolonged by the euro symbol. 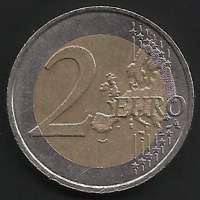 The initials ΓΣ of the sculptor appear below the euro symbol. The name(s) of the issuing country in the national language(s) appear(s) at the top, while the indication 1999–2009 and the acronym EMU translated into the national language(s) appear at the bottom. The twelve stars of the European Union surround the design on the outer ring of the coin.